In keeping with its ambition to feed the world, Olymel maintains relations with various publics, such as its business partners, customers, employees, suppliers, the media and consumers. In its communications, the company strives for the highest possible level of transparency and adheres to a policy of openness in order to ensure its choices, orientations and achievements are better understood. On March 23, the Conseil de la Transformation Alimentaire du Québec (CTAQ) paid a vibrant tribute to Olymel's President and CEO, Réjean Nadeau, in front of hundreds of industry representatives during its annual conference in Québec City. Pierre Rivard, Chair of CTAQ's Board of Directors and President of St-Hubert Group, highlighted Nadeau's role as a major entrepreneur and developer of Quebec's agri-food industry. The members of CTAQ's Board recognized his commitment to the industry's representative organizations, his work as an ambassador to governments and regulatory authorities, his contribution to the development of the agri-food sector and his determining role in the success of Olymel, a Quebec leader. 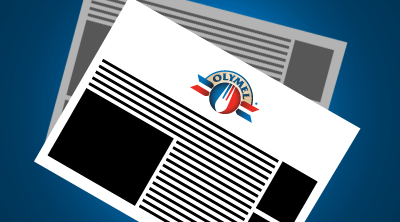 The management of Olymel L.P. is announcing today its decision to cease operations at its Vanier plant in Québec City and to offer a compensation and relocation program for all 47 employees affected by this closure. Olymel has earned a new DUX 2019 Award in the Large company, Value added product of the year category for Olymel 100% nitrite-free smoked sausages, a product that was launched in April 2018.